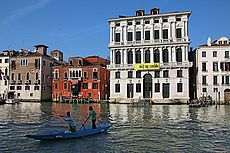 The 3rd chapter of our tour along the Grand Canal starts at Ponte di Rialto. 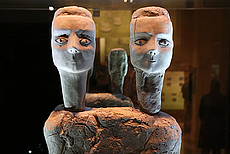 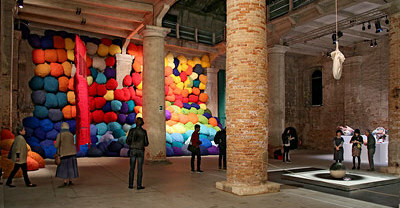 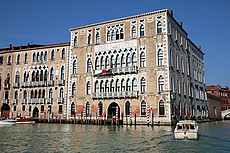 Only a few steps from the Rialto bridge there is Palazzo Bembo, a venue of temporary art exhibitions. 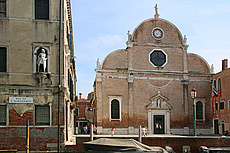 Palazzo Grimani di San Luca, at the next corner, is an important example of Renaissance architecture in Venice. 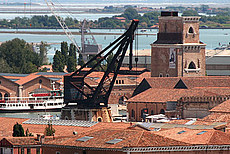 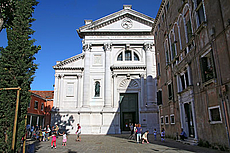 Among the historical buildings in this tour, regularly used as exhibition venues, especially parallel to the Venice Biennale editions, are the Palazzi Benzon, Tiepolo Bassi and Dandolo Paolucci, as well as the Fondaco Marcello, a former warehouse. 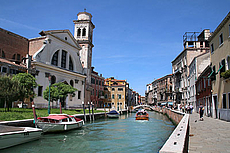 La Volta del Canal is where the Canal Grande makes a sharp bend. 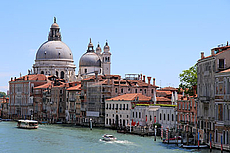 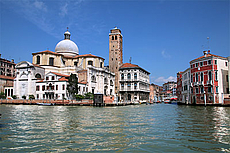 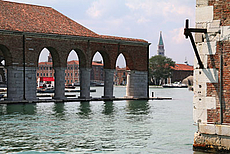 Ca' Foscari, the well known landmark at this place, appears more in detail in the next part of our Canal Grande Tour.